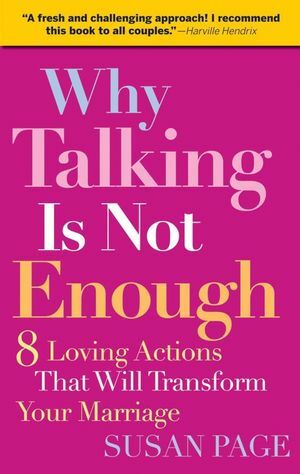 Why Talking Is Not Enough, written by Susan Page, author of the acclaimed bestseller If I’m So Wonderful, Why Am I Still Single? presents a novel relationship strategy based on subtle, powerful changes in your own actions. This method shows you the magic of “Keep your mouth out of it!” Page’s pioneering eight-step program invites you to give up problem solving and move directly to a warmer, more loving and fun relationship, based on universal spiritual principles. SUSAN PAGE has been conducting workshops for both singles and couples, nationally and internationally, since 1980. Her international speaking and media career has taken her to twenty-six states, Canada, Korea, Australia, and Mexico. She has appeared on the Oprah Winfrey Show, Good Morning America, CNN, and CNBC, and her work has appeared in People magazine, USA Today, Cosmopolitan, Redbook, Glamour, and McCall’s. Susan began her career as a Protestant campus minister at Washington University in St. Louis and at Columbia University in New York. She was director of women’s programs at the University of California, Berkeley, where she helped found the nation’s first university-based human sexuality program. 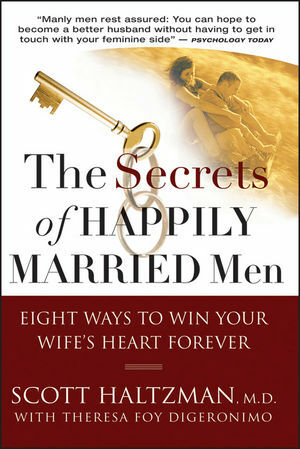 Her previous books include How One of You Can Bring the Two of You Together; The Eight Essential Traits of Couples Who Thrive; If I’m So Wonderful, Why Am I Still Single? and The Shortest Distance Between You and a Published Book.